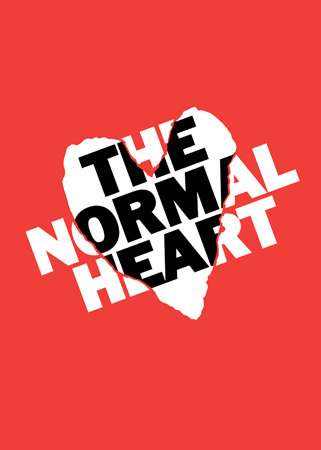 "THE NORMAL HEART" ON BROADWAY: I was lucky enough to score a last-minute ticket to the opening night performance of the Broadway revival of "The Normal Heart," Larry Kramer's 1985 play about the early years of AIDS. (The title comes from W.H. Auden's poem "September 1, 1939.") The play's characters -- including activist Ned Weeks (a stand-in for Kramer), Dr. Emma Brookner, and others -- rage against the indifference, if not the outright hostility, of the government, the press, the medical establishment, and even many gay men in the face of the burgeoning epidemic. It's a polemic, and a powerful one: I was moved by the sorrow and the humor it contained, but mostly I found myself hugely angry at how indifference to AIDS was informed at first so thoroughly by homophobia. And now, 30 years after the first documented case of what would come to be called AIDS, and with over 30 million people worldwide infected with HIV, its spread is greatest among other marginalized people, and the cause for anger is just as present as ever. Upon leaving the theater, I would gladly have signed up for just about any commitment against AIDS! My thoughts turned to lighter things, however, as I did some star-sighting (Sarah Jessica Parker, Matthew Broderick, Nathan Lane, Rosie Perez, Gabriel Byrne, Alejandro González Iñárritu, and others), and got autographs from the cast. Leading man Joe Mantello (he played Ned Weeks) was nice enough to give me his ticket to the opening night party, too! To his credit, Larry Kramer has reportedly been talking with people outside the theater after some shows, trying to galvanize them to action. This is in keeping with his character: besides being a writer, he's an activist who founded or helped found Gay Men's Health Crisis and ACT UP. "IMAGINE THAT: HOW THE VISITOR HELPS VIEWERS SEE THEIR WAY FROM OUTRAGE TO ACTION": If "The Normal Heart" brought me to the edge of action (well, okay, to be fair to myself, I used to be active in the fight against AIDS), the 2007 feature film "The Visitor" was accompanied by a social action campaign that gave viewers a way to turn their emotions into action. I wrote a case study (PDF) of that campaign, for its co-sponsor Active Voice. The film is about the friendship that develops between a disillusioned economics professor and an undocumented immigrant -- and what happens when the latter is arrested and detained. What sounds like a possibly strident political film is actually a moving tale of friendship and commitment -- so artfully done, and such good entertainment, that you hardly know your sense of justice is being aroused until you're (silently, perhaps) yelling at the screen.